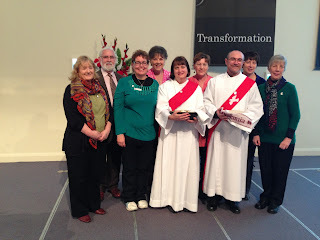 Rev Lyn Leane and Rev Albert Patrizi were ordained as Deacons in the Uniting Church in Australia on September 8th, 2013, in Adelaide. Some Deacons were on hand to congratulate them - Sandy Boyce, Bill Harris, Cogs Smith, Sue Langhans, Naomi Rosenberg, Christa Megaw and Judy Knowling. 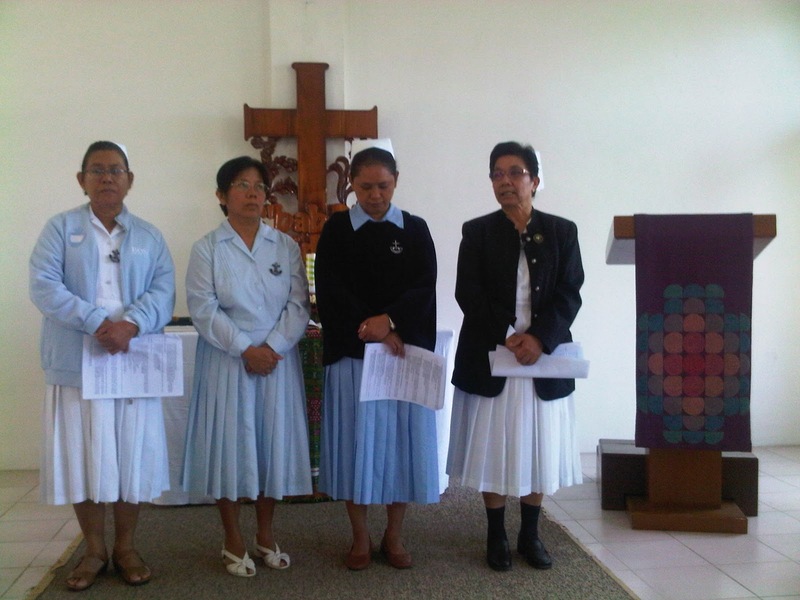 The Conference of the Methodist Church in Fiji and Rotuma in August 2013 endorsed Deaconess Meresiana Kuricava as the Administrator of the Deaconess Order of the Methodist Church in Fiji, a role she has held previously. 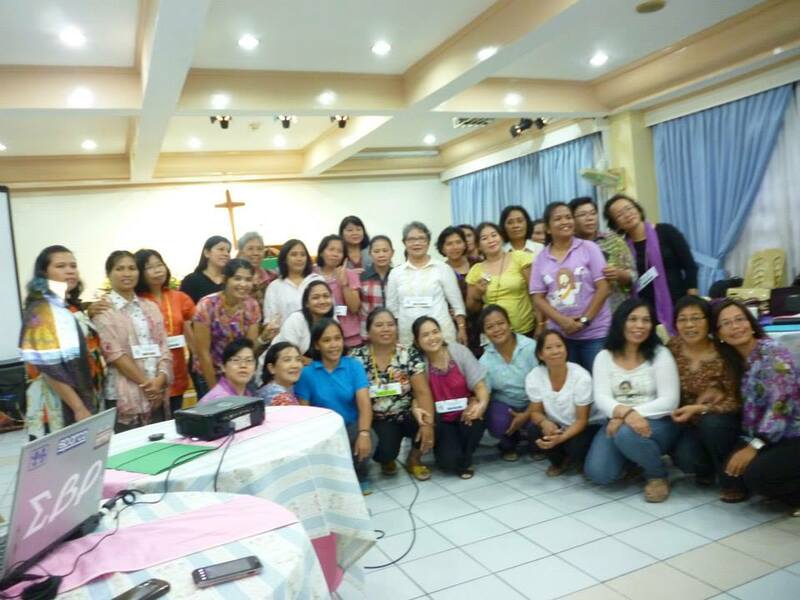 Congratulations, Meresiana! 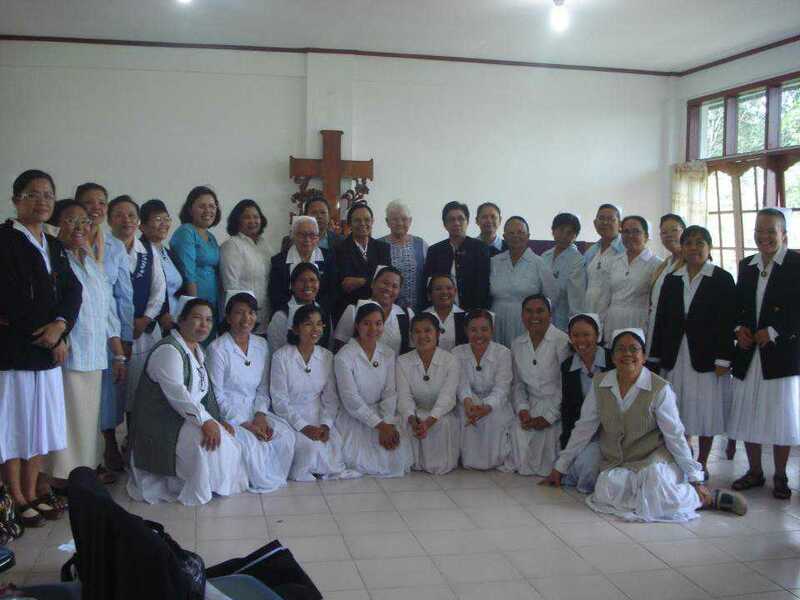 Please continue to pray for the deaconess ministry in Fiji, especially in the challenging physical, social, economic and political context in which ministry is offered. 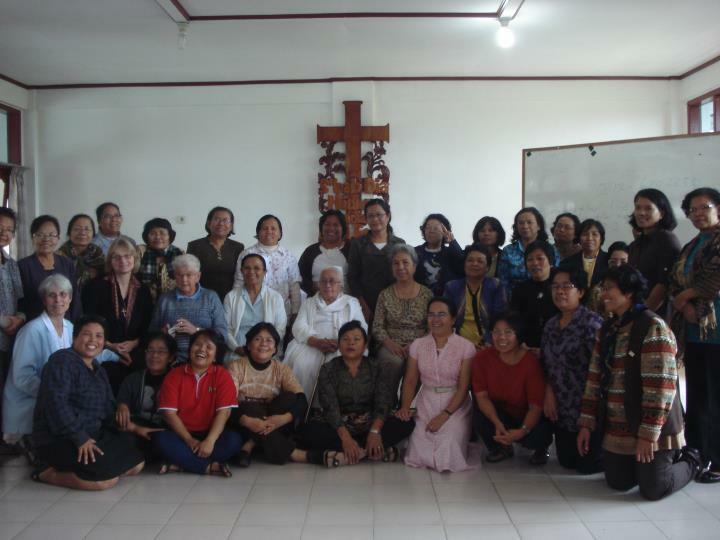 Deaconess Emma Cantor (President, DAP) has been part of the group meeting for the UMW Peace Conference in the Philippines attended by 38 Indonesian and Filipino Clergy and Lay Women. * advocacy and engagement for peace in all levels. 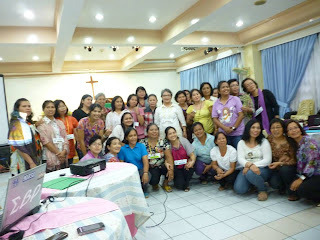 As well, there was a separate seminar on early childhood education for the participants as part of engagement to peace and a visit to preschools and poor children's communities. Please remember these women in your prayers. In April, 2013, hundreds gathered in the Midlands of Tasmania on Sunday to farewell Patrol Minister Rev Meg Evans who has finished up after 10 years. Meg’s final service at the Oatlands Uniting Church was a wonderful celebration of her ministry, with many warm wishes extended for her retirement. Meg was the first minister appointed to the Midlands Patrol when it was established in 2003. Extending across the Midlands and Central Highlands of Tasmania, the Patrol covers the small towns of Oatlands, Ross, Bothwell and Campbell Town and the isolated properties in between. Looking back on her time in the Midlands, Meg reflected on her work as a “ministry of presence”. Frontier Services family (Left-Right) Judy Knowling (formerly Pilbara Patrol), West Coast Patrol Minister Gay Loftus, Rosemary Young, Colleen Grieve (formerly West Coast Patrol) and Meg Evans. As the Midlands Patrol Minister, Meg has led 114 funerals, 33 weddings and 35 baptisms. She has walked alongside generations of families through their highs and lows. In her final week, she conducted a baptism for a family she had come to know well. Meg buried the grandfather, married the children and now welcomed their grandchildren, touching four generations in one family! For many, Meg has been more than a church minister. She has been a welcome visitor in isolated places, an advocate for the community and a trusted friend. Always, she has been a visible sign of the church’s presence in the community. 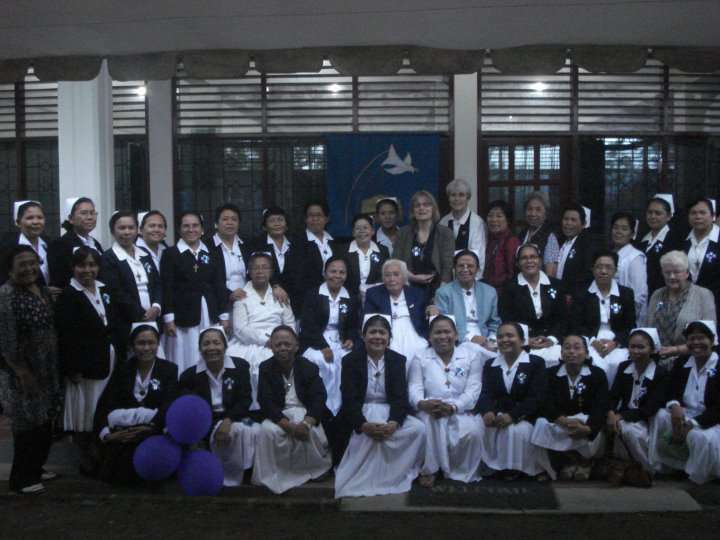 The Diakonia Sisterhood in Korea has been a member of DIAKONIA World Federation since 1983. Delegates gathered in Manila in October 2012 for 2012 DAP Regional Conference, organized by the DAP Executive.